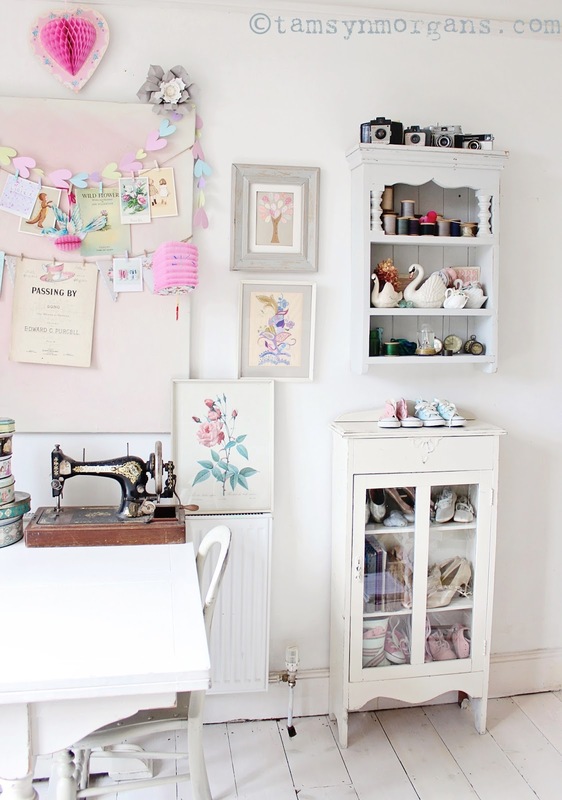 I am spending a lot more time in the craft room at the moment as it is now also my workspace, and I’m absolutely loving it. Today I was sawing and drilling old floorboards in there to make another photography backdrop, and then I painted a cupboard…it really is a space where I can be as creative as possible. I feel very as lucky to have it. 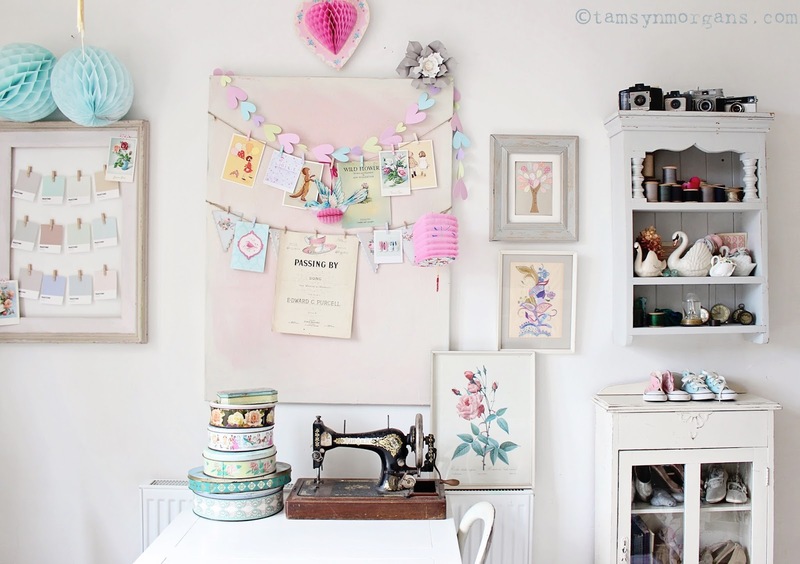 As autumn approaches, I will be dusting down my sewing machine (it’s been a long time since I’ve used it!) 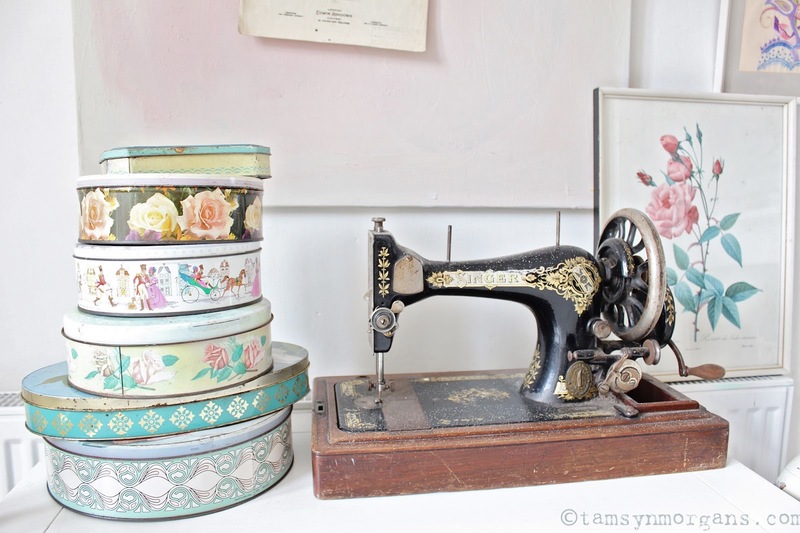 as I purchased some gorgeous vintage floral Sanderson fabric the other day from eBay. I’m thinking of making some cushions and bolsters, and maybe some Peter Pan collars to go over plain t-shirts. 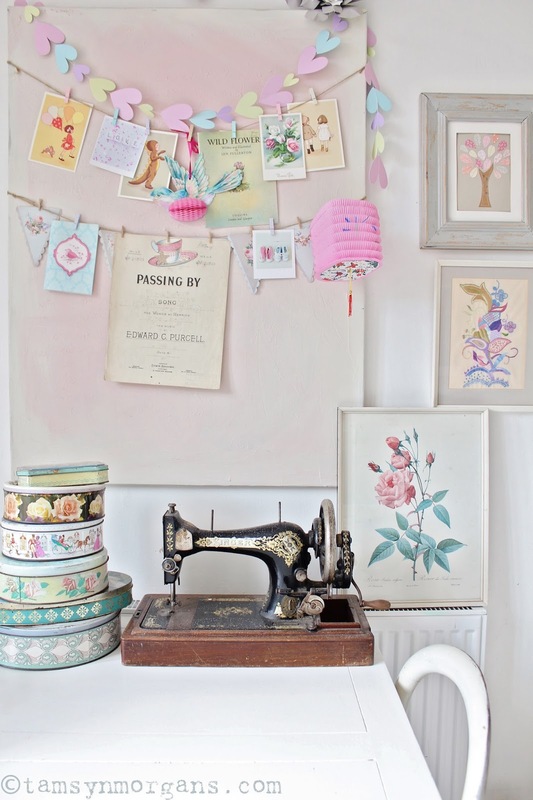 The beautiful old Singer sewing machine in the picture was recused from a skip years and years ago, and I found the rose print in one of the charity shops I went to in Bexhill. I shall be scavenging for treasure this morning at the car boot fair, and then this afternoon I am going to a dear friend’s bbq which will be brilliant fun! I hope you all have a wonderful day! Next Post StylingThe Seasons – Farewell and Thank You!